In Egyptian mythology, Amon-Ra is considered to be the king of all gods. The temple of Amon-Ra was believed to be the first temple to ever plant a monoculture vineyard to produce wine for the citizens of the temple. The eye on front of the label is the all-seeing eye of Horus or wedjat ("whole one") - a powerful Egyptian symbol of protection. It is represented as a figure with six parts, corresponding to what Egyptians regarded as the six senses; touch, taste, hearing, sight, smell and thought. Ben created Amon-Ra Shiraz to appeal to all these six senses. Exceptional old vine fruit was sourced from the famed Ebenezer sub district at the northern tip of the Barossa Valley. Vine age 50—130 years old. Yield 2 tonnes per hectare. Fermented in 1 and 2 tonne open fermenters, hand plunged 3 times daily. Matured for 16 months in 100% new oak hogshead barrels (95% French and 5% American) and matured on lees to maintain fruit profile and animation. Bottled unfiltered to ensure minimal intervention with the wine’s natural characteristics. In the glass this wine is deep, brooding black. On the nose there is a distint essence of black cherry, dark plums and spice. This transfers delightfully onto the palate with a mouth coating richness with restraint and admirable poise. 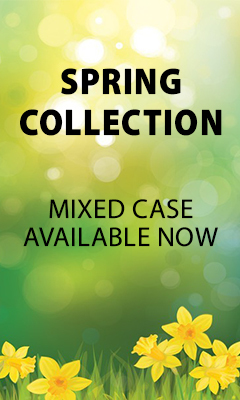 Multi layered flavours of dark chocolate and dried spice with bright fruits and great palate length. This is a wine that will develop beautifully with long term cellaring over decades. 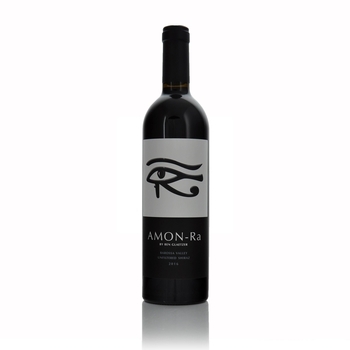 "Dramatic, intense and powerful, the 2016 Amon Ra Shiraz recalls the 2004 in its youth, crammed with layers of fruit, complex, savory elements and rich, velvety tannins. It's full-bodied, characterized by notes of grilled meat, espresso, black olive, cassis, vanilla, baking spices and an undercurrent of loamy earth. Yes, it's unapologetically big and bold, the product of a warm, sunny climate and ripe grapes, but it does show a sense of decorum, restraint and elegance on the long finish."